Bombax pentandrum L., Ceiba caribaea (DC.) A. Chev., Ceiba casearia Medik., Eriodendron anfractuosum DC. Kapok (Ceiba pentandra (L.) Gaertn.) is a large deciduous tree, best known for the fibre produced by its fruit. It usually reaches a height of about 30-40 m but some varieties such as caribaea can reach 70 m (Ecocrop, 2011; Ecoport, 2011). 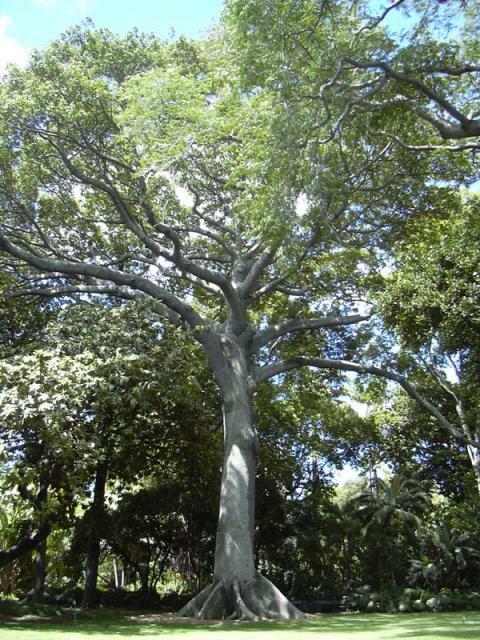 Kapok has a broad straight trunk and almost horizontally spreading branches. Trunk and branches are supported by prickly buttresses at the base (Ecoport, 2011; Orwa et al., 2009). Some varieties are covered with rounded spines (Ecocrop, 2011). The leaves are compound (5 to 8 leaflets) (Orwa et al., 2009). Kapok produces large quantities of clustered flowers, yellowish white to rose, silky and densely hairy on the outer surface (Ecoport, 2011; Orwa et al., 2009). The fruit is a long (10-30 cm) capsule hanging from branches and contains 120-175 rounded dark brown to black seeds embedded in a mass of grey woolly hairs (floss) (Orwa et al., 2009). Kapok is a fast growing tree and becomes productive within 4 to 5 years. Yields increase for about 8 years and its economical lifespan is about 60 years (Ecocrop, 2011). A tree under optimal conditions may yield 330-400 fruits per year, giving 15-18 kg fibre and about 30 kg seeds. A satisfactory fibre yield is about 450 kg/ha and a very good yield is about 700 kg/ha (Louppe et al., 2008). Kapok fibre is much appreciated for its low density and insulating properties that make it suitable for a large number of commercial applications, including filling for pillows, mattresses and clothes, as well as thermal and acoustic insulation. Kapok wood is a light and resistant timber useful for plywood, packaging, etc. In Java, the tree is grown as a boundary tree and fences along roadsides. In addition to fibre, kapok seeds contain 20-25% of an oil, very similar to cottonseed oil, that can be used for cooking, to make soap and as a lubricant. 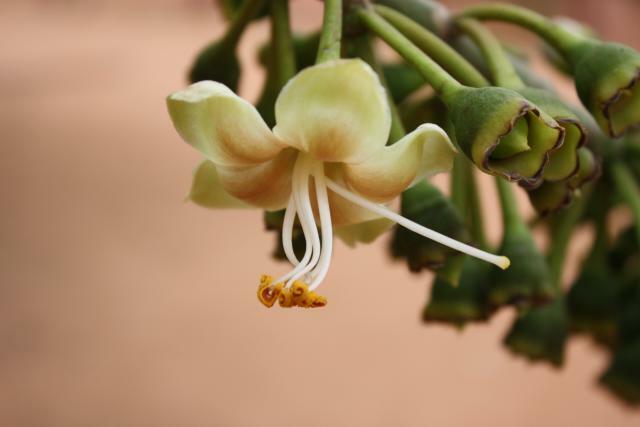 Kapok flowers are an important source of pollen for honey bees (Orwa et al., 2009). Kapok leaves are valuable fodder relished by sheep, goats and cattle. Kapok leaves are also used in ethno-veterinary medicine in Tamil Nadu where they are pounded with fermented boiled rice and administered to cows orally for reproductive problems (Orwa et al., 2009). 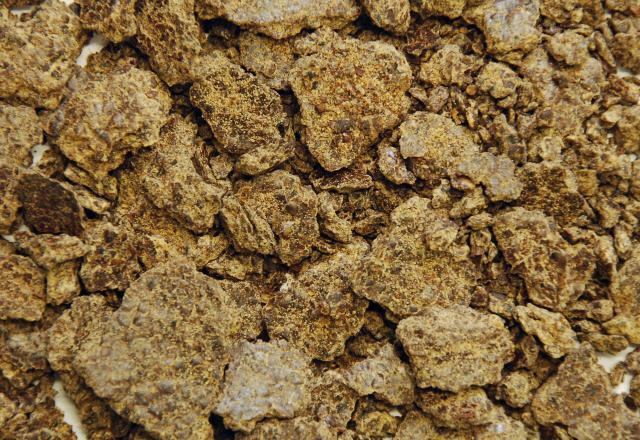 Kapok seed meal (press cake): it results from the extraction of seed oil and is used for feeding ruminants and pigs. Kapok oil may also be used for feeding ruminants. Kapok is native to India, Indonesia and the USA and is mostly cultivated in South-East Asia (Orwa et al., 2009; Göhl, 1982). It is widely spread between 15-20°N and 15-20°S in various types of moist evergreen and deciduous forests as well as in dry and gallery forests. It mostly occurs in secondary forest as it is a pioneer species (Orwa et al., 2009). Kapok requires high rainfall during its vegetative development and a drier period for flowering and fruiting. It is generally found in areas where annual rainfall ranges from 750 to 3000 mm and where dry periods do not exceed 4 months, with a minimum of 150-300 mm well-distributed rainfall during these periods. Because night temperatures below 17°C prevent pollen grain germination and thus fruiting, kapok cannot be cultivated for fibre production in areas above 20°N or S or higher than 1500 m above sea level. Kapok prefers deep permeable soils (Louppe et al., 2008). It can be used in agroforestry systems where it is planted at a spacing of 7.3*7.3 m with edible crops during its first five years of growth, after which the canopy becomes too dense and shades out other crops (Orwa et al., 2009). In 2004, the amount of kapok seeds available for use in animal feed was about 340,000 t. The seeds came almost entirely from Indonesia and Thailand (Choct, 2005). Though kapok can be used as an ornamental tree, such use is not recommended as its floss may cause irritation to the eyes and nose (Orwa et al., 2009). Kapok foliage has a moderate protein content (10-17% DM) and a relatively high fibre content (crude fibre 20% and NDF more than 50%) (Feedipedia, 2011). Foliage was shown to be free of tannins and saponins but contained some steroids (Ogunbosoye et al., 2010). Kapok seed meal has a variable composition. Protein content varies from 26 to 49% DM and crude fibre from 12 to 30% DM. Variations in the oil extraction process result in residual oil content ranging from 3 to 12% DM (Feedipedia, 2011). 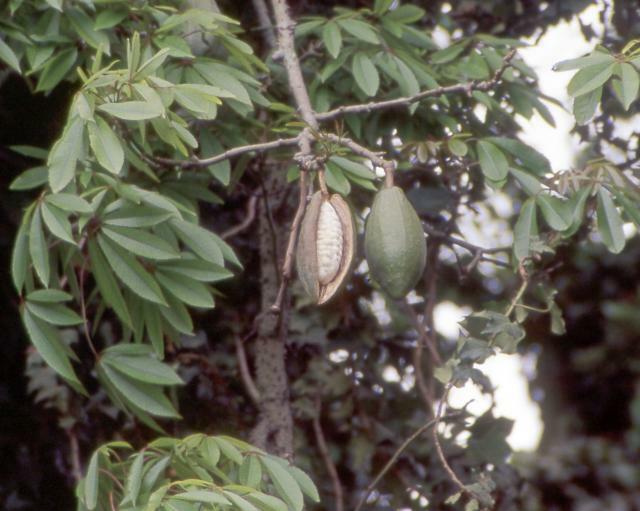 Kapok seeds are rich in protein (23-30% DM) and oil (21-29% DM). Fibre content is in the 12-25% range. This may depend on the level of decortication (Berry, 1979). The protein contains a high level of arginine and has a poor essential amino acid balance for monogastrics (Choct, 2005). Oilcakes that have developed a soapy smell should not be fed to monogastrics as they may be toxic (Göhl, 1982). High levels of kapok seed meal have been found to be toxic in ruminants (more than 40%; Sahai et al., 1968) and poultry (more than 20%; Kadirvel et al., 1986). Seed oil fed above 2% in poultry resulted in chicken deaths (Kadirvel et al., 1986). Kapok seed oil contains cyclopropenoid fatty acids that can be beneficial in pigs as they promote hard fat (Irie, 1990), but that are detrimental in poultry, particularly in laying birds (see Poultry below). The OM digestibility of kapok foliage range from 44% (estimated by the gas production method; Ogunbosoye et al., 2010) to 80% (in growing goats fed the foliage as the sole diet; Nguyen Thi Hong Nhan, 1998a). Kapok foliage is relished by goats and is traditionally used in goat production in Cambodia. Offering kapok foliage to goats resulted in higher feed intake, CP digestibility and N retention than other foliage trees, such as jujube (Ziziphus zizyphus), mango and fig (Ficus racemosa) (Daovy Kongmanila et al., 2009; Daovy Kongmanila et al., 2008). Goats fed on kapok foliage had similar growth rates (74g/day) as goats fed Leucaena. Kapok foliage supplementation of goats under smallholder farming conditions increased live-weight gain by 26% over a 32-week period (Theng Kouch et al., 2006). Kapok seed meal can be fed to ruminants; it has a high crude protein degradability and had no effect on feed intake, digestibility, milk yield and milk composition when included in diets for lactating goats (Sousa et al., 2001; Sofyan et al., 1994). Supplementation of up to 40% kapok seed meal to cattle produced satisfactory results, higher levels causing toxicity (Sahai et al., 1968). Ground seeds can be included up to about 70% in cattle diets; over this amount the mixture is not very palatable and may be refused (Göhl, 1982). Kapok seed oil can be used to supplement ruminant diets, but an inclusion rate higher than 10% kapok oil in the diet (DM basis) depresses the rumen cellulolytic enzyme activity. Kapok seed oil should, therefore, be protected when used at more than 5% in the diet (Widiyanto et al., 2010). Inclusion rates ranging from 5% to 20% in pig diets were recommended (Ferguson, 1983). Growing pigs fed on increasing levels (7 to 21%) of kapok seed meal had decreasing growth rates (Mashingo et al., 1994). Including 3% kapok seed meal in finishing pigs diets enhanced meat quality (more saturated fatty acids, greater redness, and a better marbling score in lean), but reduced nutrient digestibility (Kim et al., 2011). In Japan, kapok seed meal has been used to prevent soft fat due to the presence of cyclopropenoid fatty acids in kapok oil, which have a hardening effect on porcine fat (Irie, 1990). Seed oil is reported to have some toxicity in monogastrics (Fuller, 2004; Göhl, 1982). However, in Japan, kapok seed oil was included at very low levels (0.02% and 0.08%) in the diet of growing pigs (55-95 kg) diets. It resulted in more stearic acid in the backfat and abdominal fat and subsequently a higher melting point (Inoue et al., 1980). The metabolizable energy of kapok seed meal in poultry would be about 8.75 MJ/kg DM, which is lower than that of other oil meals such as sesame oil meal or rubber seed meal (Rajaguru et al., 1985). Recommended rates in poultry diets are 5-10% (Ferguson, 1983). When included at 3 to 9% in growing and finishing broiler diet to replace sunflower seed meal, kapok seed meal had no effect on feed intake, growth rate and feed efficiency (Narahari et al., 2003). However, at 10% inclusion, kapok seed meal depressed growth rate by 35%. 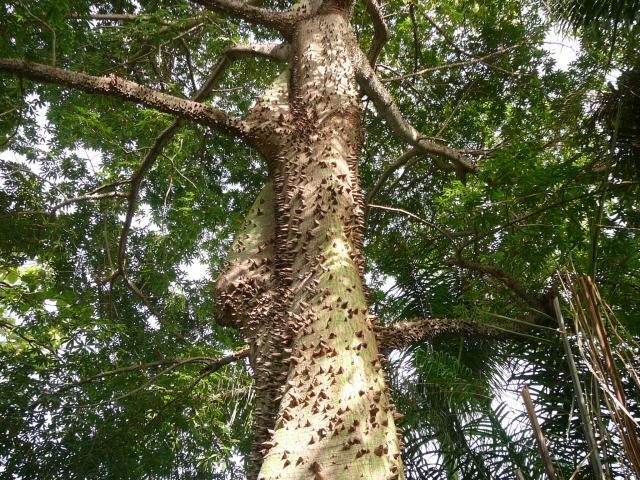 At higher levels (20, 30 and 40%) kapok seed meal was highly toxic (Kadirvel et al., 1986). 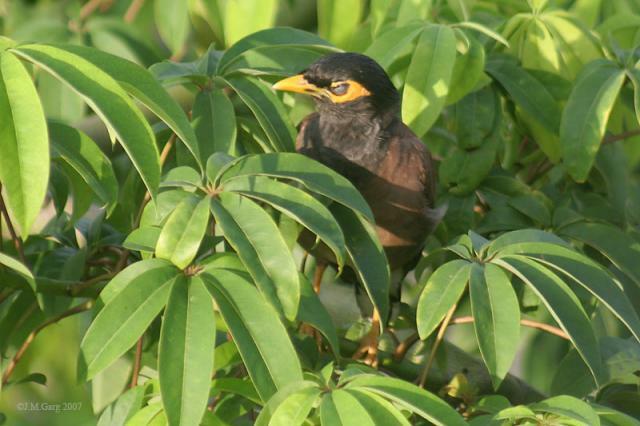 Kapok seed meal had deleterious effects on egg quality: laying hens and quails fed on kapok seed meal and cottonseed meal laid low-quality eggs with yolks becoming brown and elastic after 2 weeks (Fukunaga et al., 1990). This may be due to malvalic/sterculic acids (cyclopropenoid fatty acids) that are contained in cottonseed oil and kapok seed meal. They cause release of iron from the yolk, leading to pink egg contents, pink whites and putty-like, rubbery "golf-ball" yolks. They also cause a drastic reduction in hatchability, with dead early germs and anaemia (Pattison et al., 2008). Kim, H. J. ; Zhou, X. ; Kim, I. H. ; , 2011. The effect of Kapok seed meal supplementation on growth performance, nutrient digestibility, blood characteristics, meat quality, and fatty acids profile in finishing pigs. ADSA-ASAS Joint Annual Meeting 2011, New Orleans, Louisiana.